After exploring a number of LED lighting options, Allied recommended a number of fittings including the Allied Lunar 60, Allied Lucid 24 and Allied Linear range and recognised instantly the superior quality of the lamp when compared with other LED luminaires on the market. In order to ensure that the products were correct for the project Allied used their in house design department to ensure the correct light levels were being acheived. Allied found that with the superior lumen output from its fittings a substantial reduction in fittings could be achieved adding to the energy and maintenance savings. 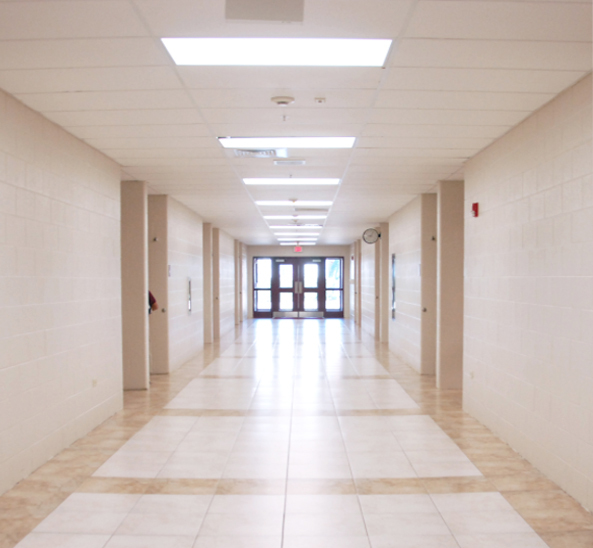 After Allied’s LED luminaires were installed a 61% reduction was made in energy consumption, the Co2 was also reduced. In total Allied’s LED range achieved a 111,295 KWh and 60.66 Co2 tonnes per year saving and with install the project achieved a 2.08 year pay-back.The luminaires that have been installed are expected to run for years and are backed by Allied product warranty for piece of mind.